You know when you renovate a home in 2002 and list it for 2.2 million you have a good chance of selling it if you will go as low as a million 13 years later. 6610 N Saint Andrews had this plight and was finally sold by Long Realty after being marketed by other brokerages previously. This home was built over 50 years ago but was renovated 13 years ago from top to bottom (except for the 1 bedroom guest house) and sits high up with magnificent views in 24 hour gated Skyline Country Club that offers so many amenities–restaurant, tennis, golf, exercise facilities, etc. 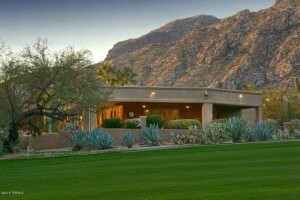 The buyers got a bargain and there are many if you will pay 1 million or more in the Catalina Foothills. Some specifics on the house include it is sited on 1.23 acres and has almost 6,200 square feet; click on the address (in para. 1) to see more photos and more information. 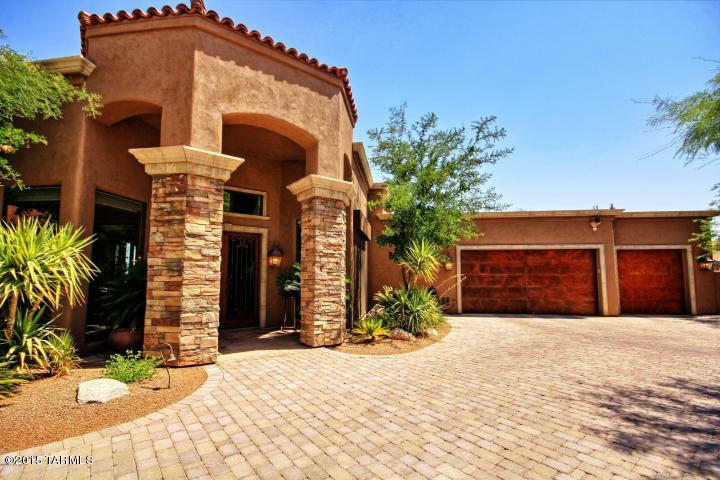 7461 N Moon Spirit Lane, listed by Keller Williams Southern AZ, is a 3,647 square foot Mediterranean sited on .78 in Cobblestone and sold for 975K. Cobblestone is located at the top of Campbell and nestled into the high Catalina Foothills; it also has a 24 hour guard gated entry that some desire. Although built in 1988, the gourmet kitchen was completedly remodeled. 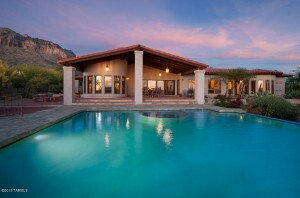 It boasts a large covered patio with negative edge pool and spa with jar dropping views. Within a week 7536 E Quiet Place sold for 825K and 6638 E River Heights Place sold for 860K; each was listed by Long Realty. Both are approximately the same size–just over 4,300 square feet. Click on the green sentence above to view more information and see the photos of these beautiful homes. 6755 N Hole in the Wall Way, a 6,400 square foot, two-story contemporary sold for 1.7 million after being on the market almost 3 years. It last sold for 2.2 million in March 2010 and before that it sold for $2,450,000 in March 2006. Long Realty was the listing broker. 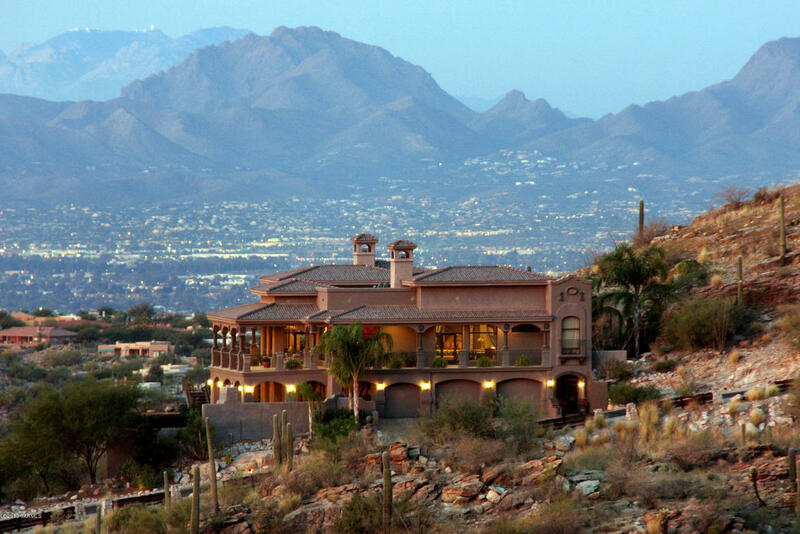 The views from this house are awesome of the high Catalinas, the surrounding Tucson Mountain ranges and the city lights. The million + housing market in Tucson has been struggling since 2009 and has not made a comeback yet. The rare exceptions are new luxury homes which are very few since builders do not want to take the risk of not being able to sell at a profit . Also there are very few vacant lots that are priced to sell in the Catalina Foothills. Buyers will find super-luxurious homes at bargain prices if they are willing to pay over a million. Contact me if you want to explore the market-520-615-2598. 6290 N Paseo Valdear sold for $1,005,000 after only being on the market for a week by Long Realty. It last sold for 900K eleven years ago and after their 2004 purchase the Sellers did a Kitchen renovation. 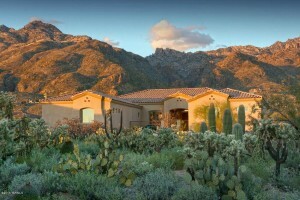 Alta Vista is a popular ungated Foothills community that is next door to Finesterra and Ventana Canyon. 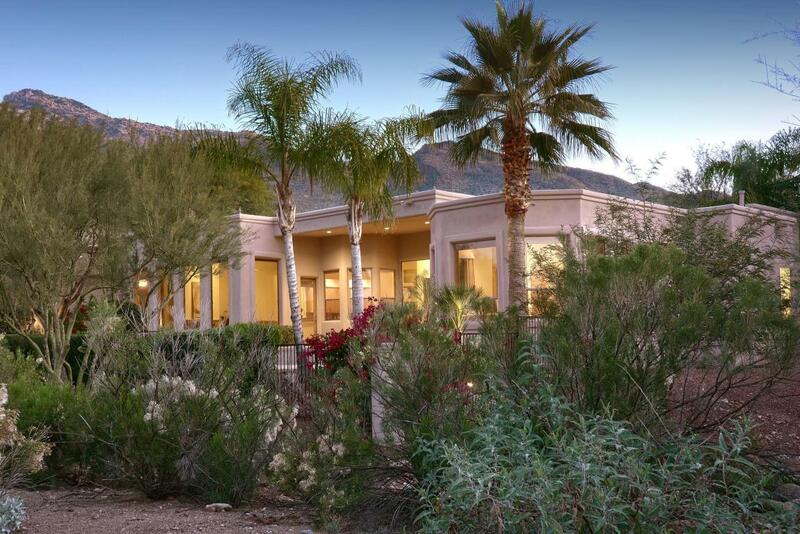 This Santa Fe has almost 3,600 square feet and is sited on just over an acre. 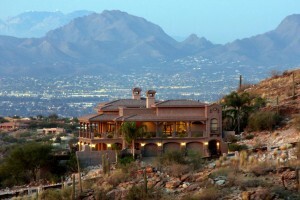 Most homes have great views of the high Santa Catalinas and the city. Some folks do not want to pay for a gated community with amenities since they find that do not use them. This community has a very low HOA fee of under $60. a month. Remember to check out my website: www.DonnaAnderson.com. 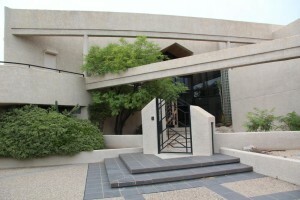 7707 N Ancient Indian Drive, an almost new (5 year old) contemporary sold for $1,450,000. It was listed by Long Realty and sold by Andy Courtney Properties after being on the market only 3 months. It sold for 1.4 million new a few years ago and the lot alone cost almost 600K at the peak of the market. This almost 5,600 square foot home is sited on a city and mountain view homesite that is over an acre and a half. 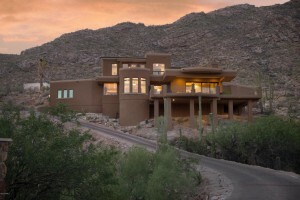 This is only the second home that has sold in popular Pima Canyon this year. The inventory in the community has been low with some houses not offering popular features such as 3 or more car garage and pool and spa. Other years the selections have been more and hence the greater number of sales. This year Sin Vacas which is its neighbor ( that has usually older homes for sale) has seen more sales. Pima Canyon has been the darling of the Foothills for these reasons: the setting is magnificent; the neighborhood has all newer custom homes (not a combination of custom and tract-built homes); it has a 24 hour manned community yet no other community amenities that many do not use (community pool, rec center, etc), the location is on the western side of the Foothills near La Enchantada shopping and restaurants, and it is closer to I -10 (so closer proximity to Phoenix and its airport). Finally we get a luxury home sale in the Foothills! It has been a few weeks since we have seen a luxury home sale since in the summer inventory is low and we see fewer sales than when the snowbirds are here in the winter months. This one at 5372 E Gleneagles Drive sold by Long Realty at $1,270,000. This one is a perfect example of the steep decline and prices on homes over a million from the peak of the market in 2008–this 6 bedroom, 6 1/2 bath home sited on a huge 5.28 acre homesite, last sold for $1,875,000 in January 2006. To top it off these Sellers added a pool and spa that was not there when they purchased it 9+ years ago. 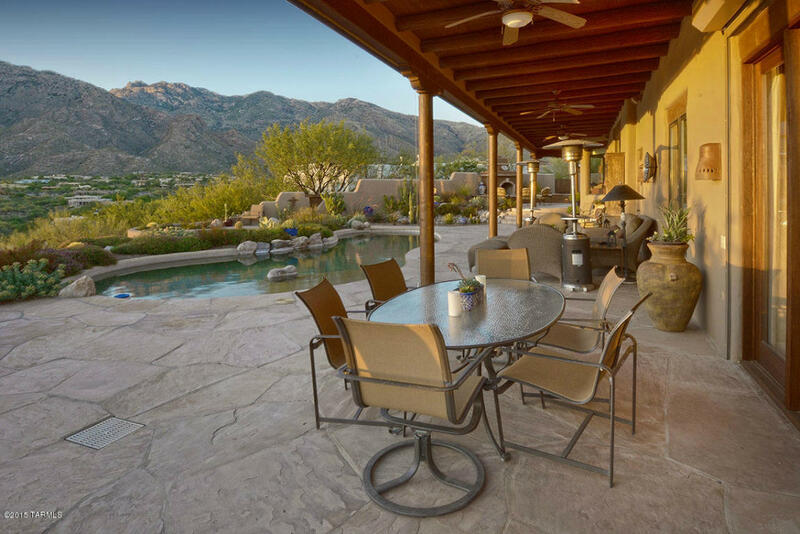 The views of this Skyline Country Club home are of both the sparkling city lights and the multiple mountain ranges including nesting right into the high Catalinas. Hard-to-find features of this two-story house include a separate 2 bedroom, 2 bath guest house and 4 car garage. Skyline Country Club offers many potential desired features to those who become members: it is located on a golf course with many recreational amenities to chose from including tennis, pool, spa, exercise facilities and restaurant. The community has a 24 hour manned gate. 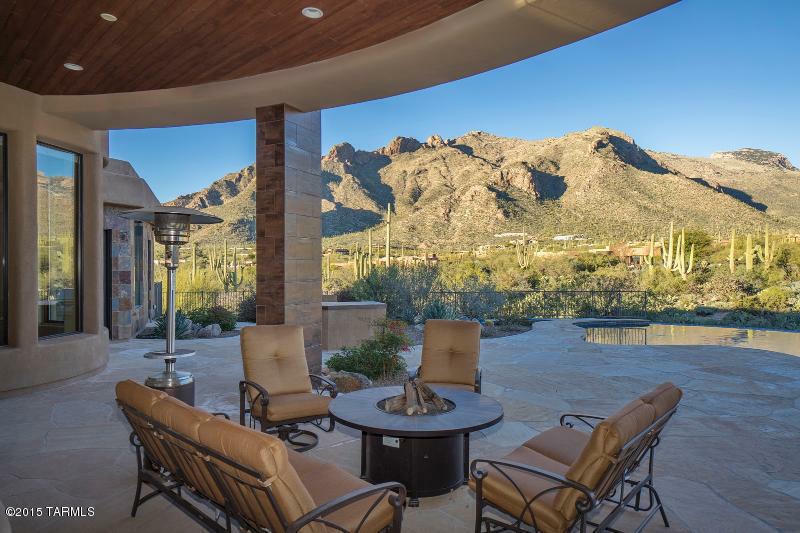 4435 E LaPaloma Drive, located in the Catalina Foothills Estates with no HOA fee, was built in 2014. It sold for $1,020,000 which is a great price for this two-story Mediterranean that is perched up high in the Catalinas with both city and mountain views. 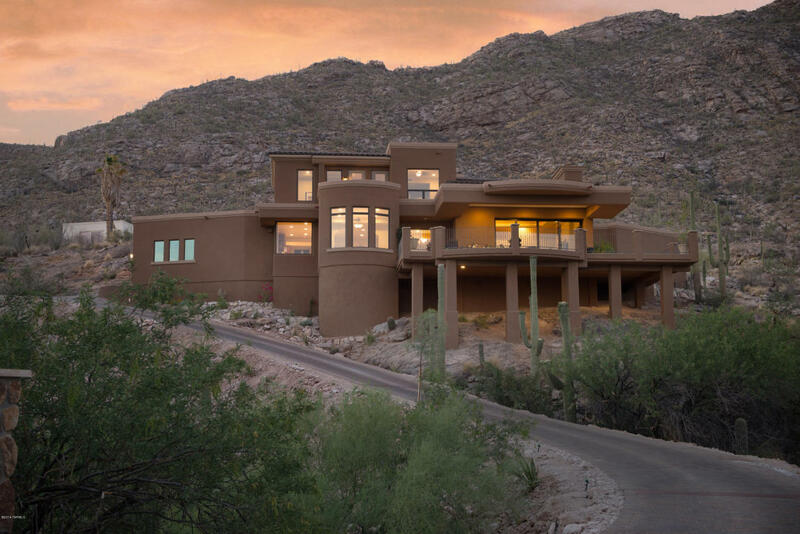 It has a retractable door off the great room to easily transition from the indoors to the outdoor Sonoran Desert with a view to the city and multiple mountain ranges. This almost 3,800 square foot home has a two-car garage (in this price range usually you can get a three car garage especially in a newer home) and is sited on over one and a half acres. It was marketed by Long Realty and took almost 15 months to sell with an original list price of $1,295,000 with price decreases over time. Most folks prefer newer homes and that this home took so long to sell is probably because it is a two-story home and it has a two-car garage. Had it been a one-story home with a three-car garage it probably would have sold much more quickly and at a higher price. 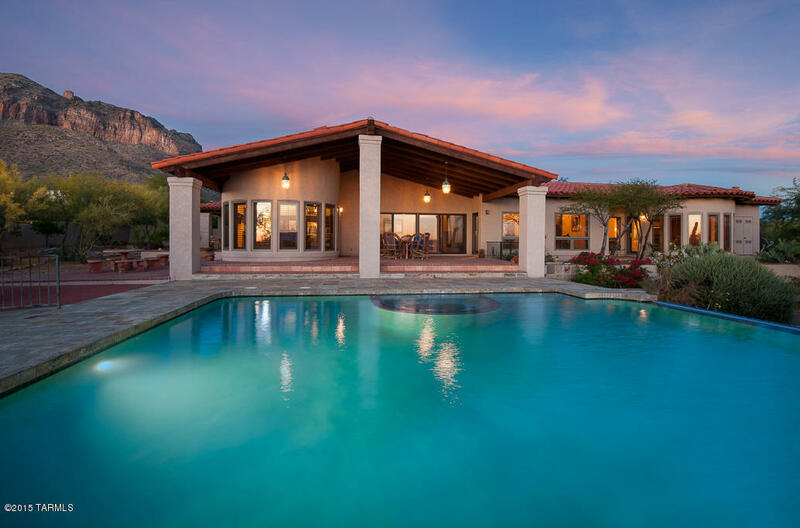 7 261 E Ventana Canyon Drive was listed by Keller Williams Southern Arizona and sold for $1,035,000 today; it last sold for $1,065,000 fifteen years ago. 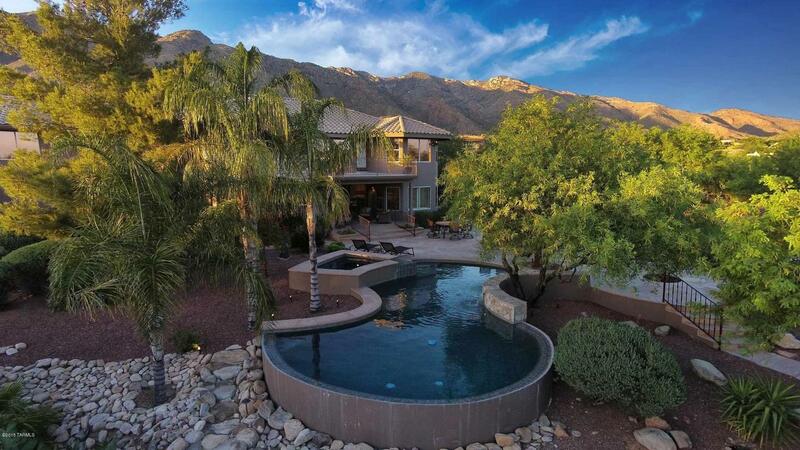 This very contemporary, two- story home is in Ventana Canyon. Sometimes I am a little surprised: 6331 N Whaleback Place just sold for 800K; it also sold for 795K four years ago and it sold for 800K eleven years ago. So there has been NO appreciation in 11 years; how sad. This home was sold by Long Realty. It sits on the golf course; has 3,200 square feet; is sited on 1/3 of an acre and is 17 years old.